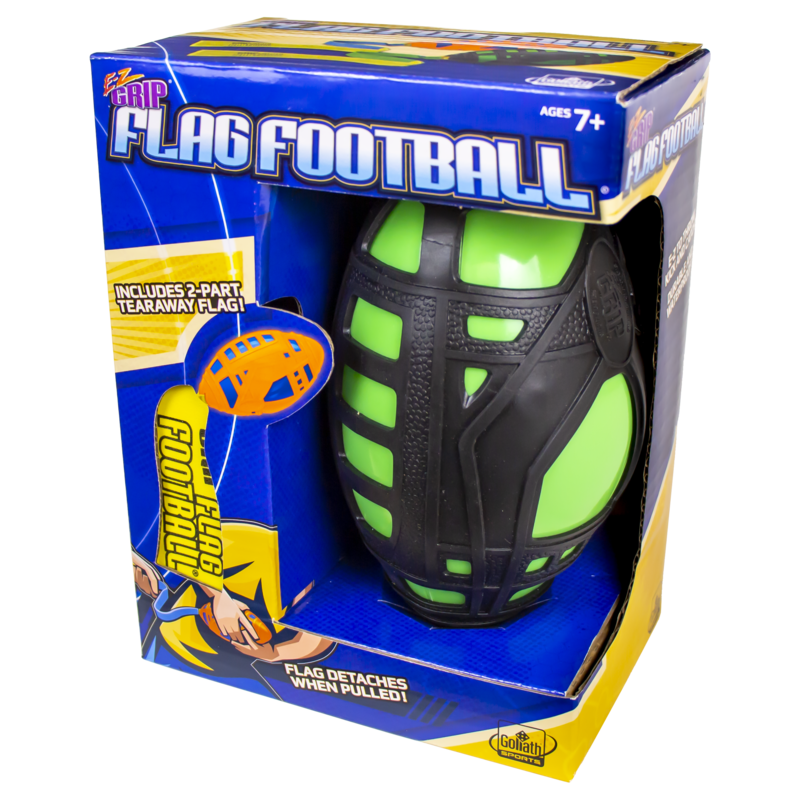 Playing a game of flag football has never been so E-Z with Goliath’s E-Z Grip Flag Football set! 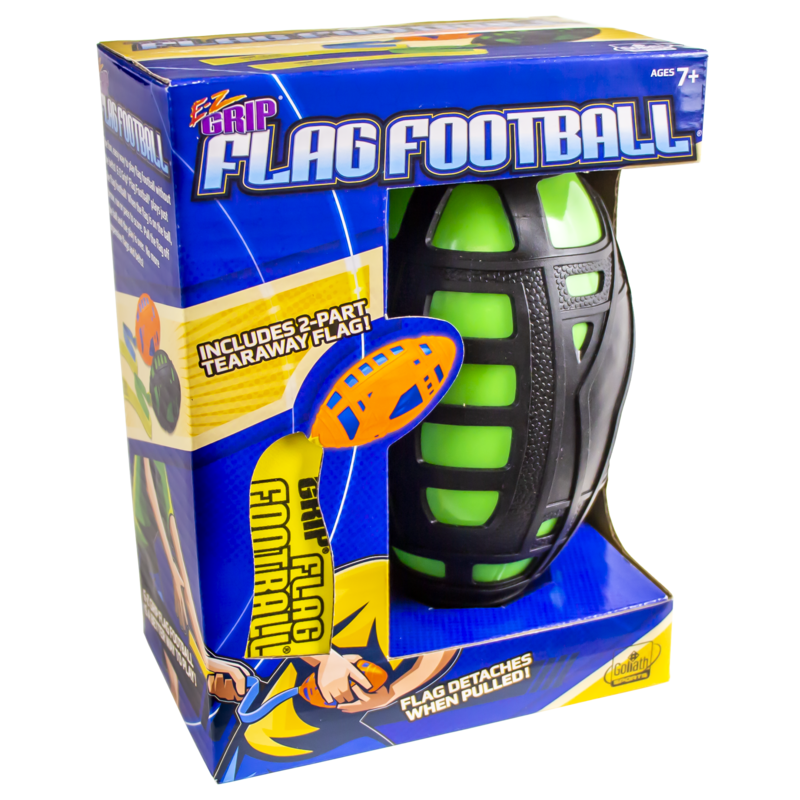 The flag is attached right to the ball, allowing you to transform your backyard into a full-fledged flag football game. 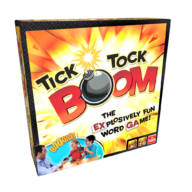 The set includes a full-sized E-Z Grip® Football with a Velcro® attached flag that rips from the ball to end each down. The E-Z Grip surface of the football allows for E-Z spiral passes, kicks, and catches. 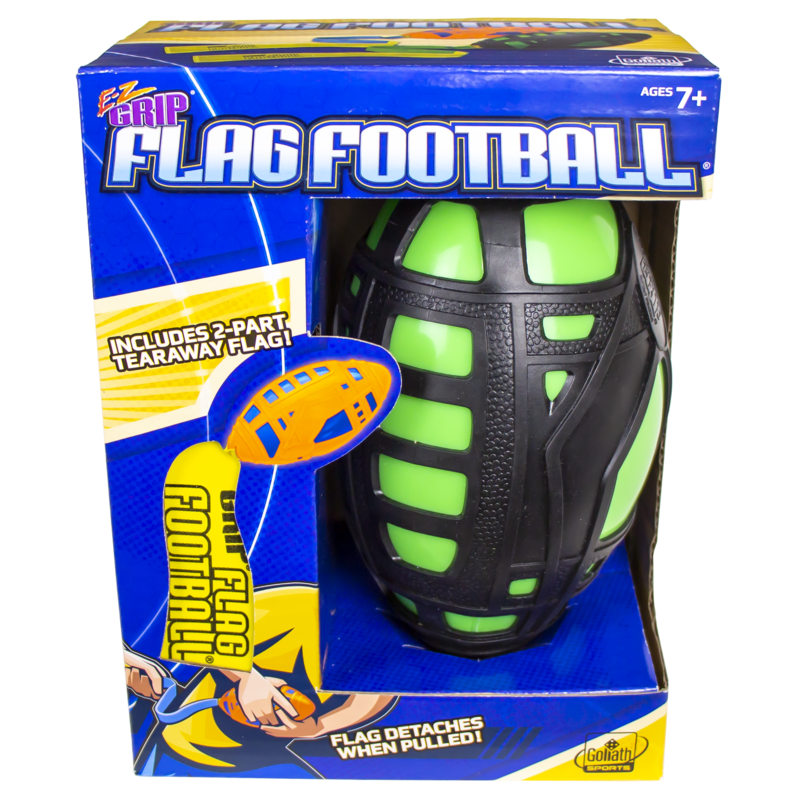 The ball and flag are soft, durable, and waterproof for active play that is perfect for any weather. 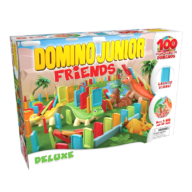 The E-Z way to enjoy a game of flag football with friends!